Love Prevails is pleased to invite you to a nonviolent direct action training at General Conference in Portland in collaboration with Soulforce! Registration is required, for more information, click here or click the link at the top of the page. Amy DeLong is turning 49 on March 19! 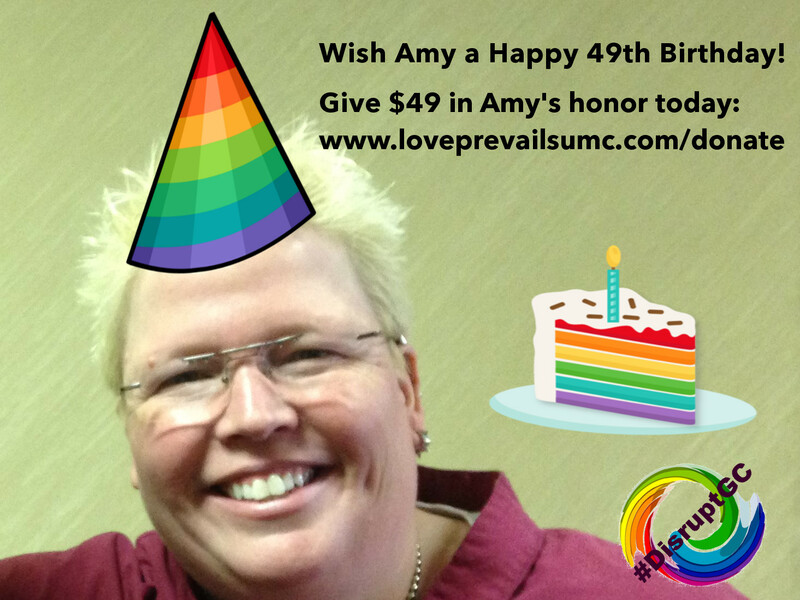 Won’t you consider giving $49 in her honor today? Donate here!